mr. Escher I'm really sorry for this post. 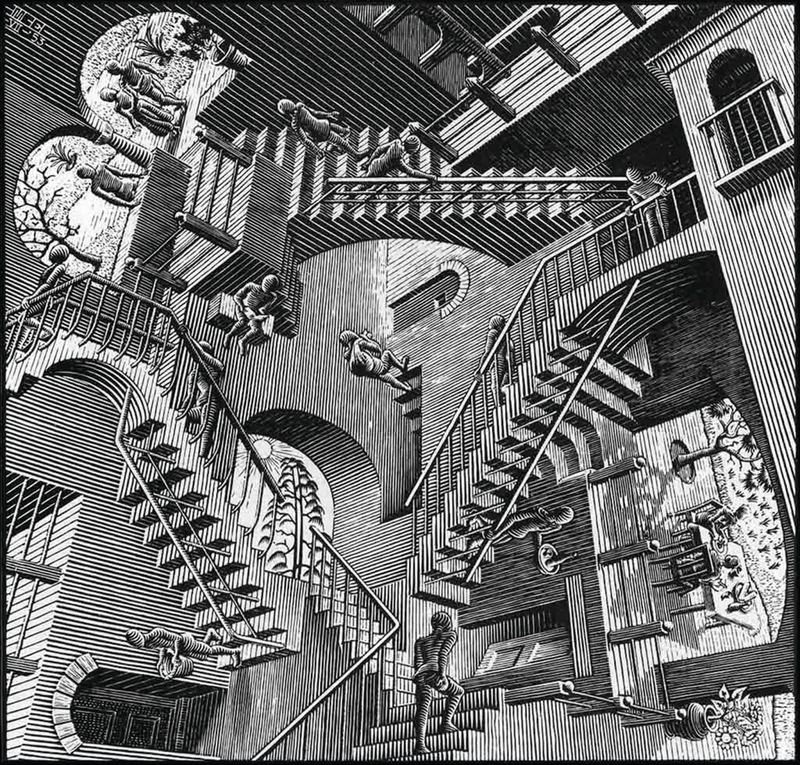 everybody knows Escher's drawing of the crossing stairs. that's more or less the same feeling that i have every time I enter a shopping mall: confusion, people in any corner, meaningless places for anonymous people. why don't we update this masterpiece of the art and we convert it in what should be now: a pic of a shopping mall with mechanical stairs moving everywhere to different 3d shops! 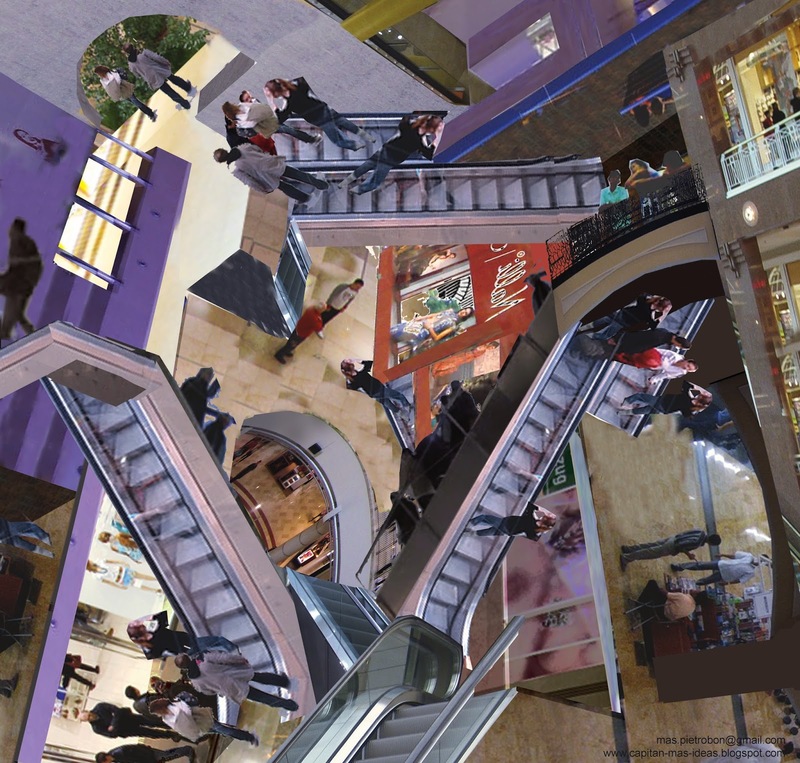 so here below you can appreciate this crazy place: Escher's shopping mall! I know the original is better.